Anthony Carnevale currently serves as research Professor and Director of the Georgetown University Center on Education and the Workforce, a position he has held since the Center was created in 2008. 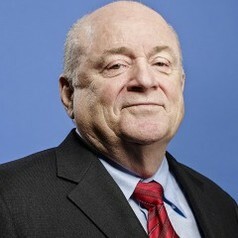 Between 1996 and 2006, Carnevale served as vice president for public leadership at the Educational Testing Service (ETS). While at ETS, Carnevale was appointed by President George Bush to serve on the White House Commission on Technology and Adult Education. Before joining ETS, Carnevale was director of Human Resource and Employment Studies at the Committee for Economic Development (CED), the nation’s oldest business-sponsored policy research organization. While at CED, Carnevale was appointed by President Clinton to Chair the National Commission on Employment Policy. Carnevale was the founder and President of the Institute for Workplace Learning (IWL) between 1983 and 1993. The IWL worked directly with consortia of private companies to develop high performance work systems and to develop more effective work and training systems. While at the IWL, Carnevale was appointed by President Reagan to chair the human resources subcommittee on the White House Commission on Productivity between 1982 and 1984. Prior to founding IWL, Carnevale also served as director of political and government affairs for the American Federation of State, County and Municipal Employees (AFSCME), the largest union in the AFL- CIO. He has also served as a senior staff member in both houses of the U.S. Congress. He was appointed Majority Staff Director on the Public Financing Sub-Committee of the House Committee on Government Operations during consideration of the value added tax proposals and revenue sharing. Carnevale joined the Senate Budget Committee shortly after it was established by the passage of the Budget Impoundment and Control Act of 1974. He was responsible for budget development and enforcement in Budget Function 500: all accounts in Education, Training, Employment Policy and Social Services. Subsequently, he also served as senior economist for the Senate Democratic Leadership Council. In 1993, President Clinton appointed Carnevale as chairman of the National Commission for Employment Policy, and in l994, Secretary of Commerce Ronald Brown appointed Carnevale to the Board of Overseers for the Malcolm Baldrige National Quality Award. In 2013, Carnevale received the Truman award from the American Association of Community Colleges and the Morris T. Keeton Adult and Experiential Learning Award by the Council for Adult and Experiential Learning. Carnevale received his B.A. from Colby College and his Ph.D. in public finance economics from the Maxwell School at Syracuse University. Before coming to Washington, D.C., Carnevale worked as a research economist with the Syracuse University Research Corporation. During that time, he co-authored the principal affidavit in Rodriguez v. San Antonio, a U.S. Supreme Court action to remedy unequal tax burdens and education benefits. This landmark case resulted in significant fiscal reforms in a wide variety of majority of states.